Company Easy Wood System is located in Belarus in the city Vitebsk close from the Russian frontier in the area 22.000 m2. From 2014 it concentrates on the manufacture of peripheral, inner and ceiling panels with annual production capacity 300 family houses. In our production we concentrate on quality, quickness and precision and last but not least we don´t forget to take care of ecology. All our products are certified and they comply with strict standards for noise, fire safety or loading capacity. Our panels are annually controlled and certified by Timber Institute Prague and RU, BY control authorities. 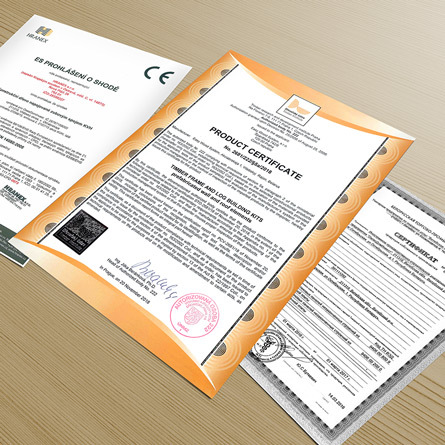 Of course for used materials we always require Certificate of Quality from new and regular suppliers.